Nonprofit leaders across the nation are lamenting the inability to fill open positions in their organizations. Organizations need to be known as a great place to work. Significant change, like, say, a new chief executive officer, can have an impact on an organization’s culture, as well as other aspects of a nonprofit. Stability in the C-suite is usually helpful while consistent turnover at the top is not likely to enjoin success. Among the 50 organizations in the 2017 edition of NPT’s Best Nonprofits To Work For report, the highest ranking official or CEO has been in the position for almost a decade, more than two years longer than the average among employers that did not make the list. 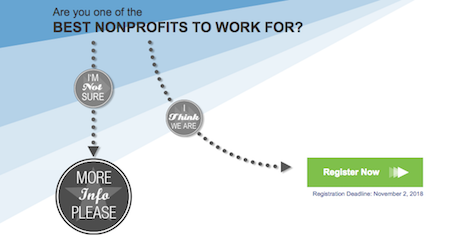 Nonprofits compete each year to be declared a Best Nonprofits To Work For. The NonProfit Times partners with The Best Companies Group for an online survey to determine what employees think of where they work, what outsiders think and how that marries with what managers believe. Here’s a link to last year’s stories.